The hotel offers a complimentary shuttle to and from the airport. 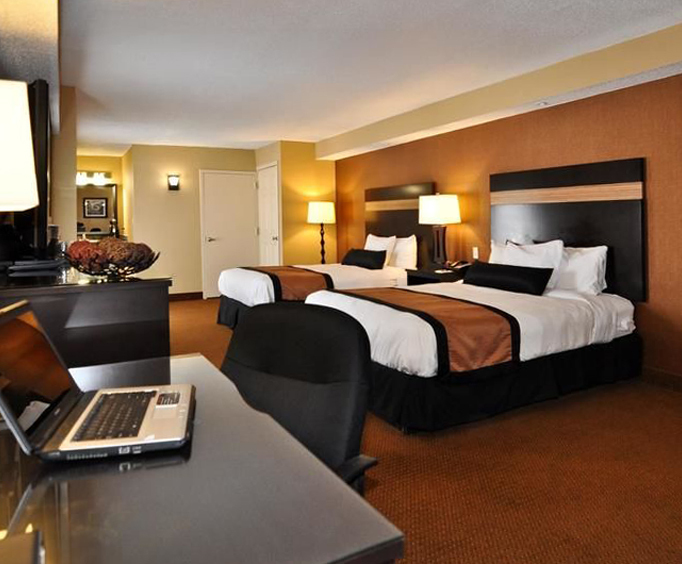 Conveniently located off 101 International Way, the Best Western offers a comfortable stay in Newark, New Jersey. Here you have a wide array of amenities and features, such as a 24 hour fitness center, 24 hour front desk, hot continental buffet breakfast, business center, laundry services and dry cleaning. This hotel even has an on-site restaurant for your convenience. 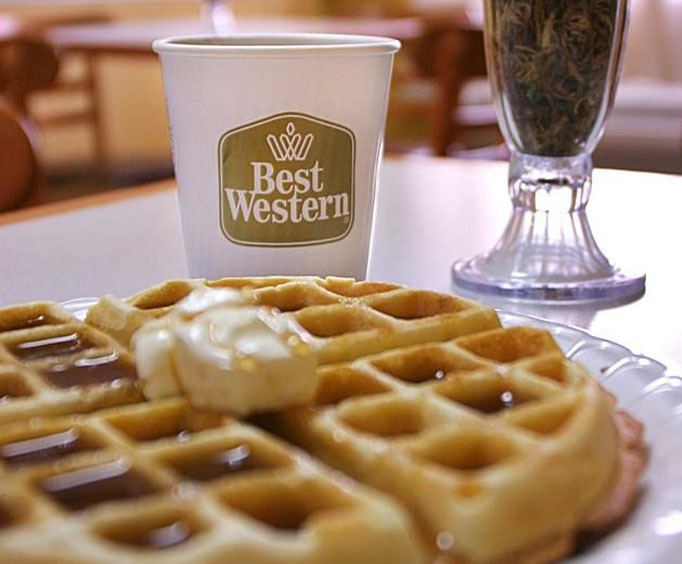 The Best Western is also close to popular landmarks, including the Statue of Liberty, Empire State Building, Liberty Science Center, Madison Square Garden, Newark Museum, Port Authority and more. Close to New York City, the stunning Best Western Plus has recently undergone extensive renovations to include great style and upgrades in every room. Wake up each morning and enjoy a complimentary hot breakfast buffet before exploring the city, grab a snack 24 hours a day at the snack shop and enjoy drinks and a relaxing dinner in the newly renovated lounge. 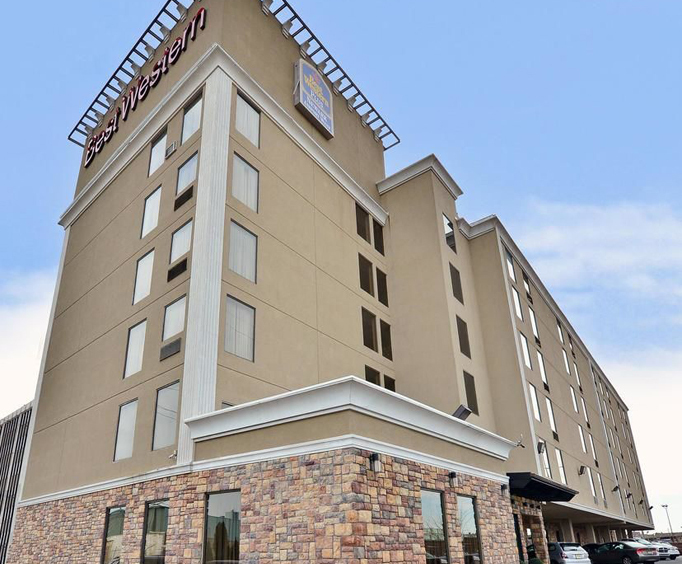 If you're traveling to New Jersey or New York City on business, the Best Western provides a meeting room for up to 50 people and an airport shuttle free of charge. Enjoy your vacation to the east coast with the hotel's inexpensive 24 hour shuttle service to local attractions. After a day of sightseeing, put your feet up and relax in comfortable, stylish rooms, which provide cable TV, complimentary high speed internet, microwave, refrigerator and coffee maker. Room service and free local calling is available for your convenience. Take a quick walk to the Starlight Restaurant or Ideal Restaurant & Bar—both within a one mile radius of your accommodations. Enjoy a leisurely shopping trip at Jersey Garden Mall or Prudential Center both under five miles from your hotel. The front desk also had a posting for the christmas lights tour of new york starting on november 28th, the wrong day as it didn't start until november 30th. Just refurbished all rooms which are great. Staff very helpful and extremely friendly. Easy access to new york via free shuttle service to newark station. Restaurant is small but staff and service is great and food tasty and reasonable. Free buffet breakfast is fantastic a great way to start the day. Highly recommended would stay there again.